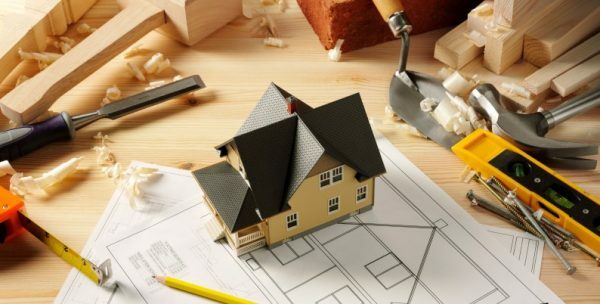 Improvements to your property can yield substantial returns in the long run – as they’ll cause the value of the building to increase.In this sense, they can pay for themselves, and so the time is always ripe for commencing a new home-improvement project.At this time of year, when summer has passed by, but we’ve yet to enter the stressful build-up-to-Christmas period, this is especially so! Let’s take a look at ten upgrades that will help your property to achieve its true potential. Installing hardwood floors is a popular move throughout the year.They’ll withstand all of those knocks, scrapes and spillages much better than a carpet might, and they can be sanded and refinished later down the line in order to extend their lifespan.The next time you spill a full glass of red wine, then you’ll be grateful that you made the investment! Since heat rises, it follows that heating that comes from beneath the floor will heat an indoor space more efficiently than any competing technology.Moreover, it’ll prevent your bare feet from suffering an icy shock when they step out onto kitchen or bathroom tiles on a cold winter’s morning.Aside from these practical benefits, underfloor heating also has a prestige that’ll make it attractive to would-by buyers – and so the investment can pay for itself.You’ll find underfloor heating available from any decent supplier of flooring in North Wales. If you’re looking to replicate the transparent, no-strings approach of underfloor heating, but can’t quite justify the expenditure in every room of your house, then you might instead consider a radiator cover.These devices are a simple carpentry job, and can help to conceal all of those ugly exposed pipes. If you find that your home is looking a bit dingy and dim – particularly with the daylight hours growing shorter – then you’ll want to address the situation with some new lighting.LED lights have now established themselves as the golden standard for both brightness and energy efficiency – so make the switch from your older halogen bulbs and you’ll find that your home looks better than ever! If your property is fortunate enough to come with a garden attached, then be sure that you don’t neglect it; instead, get out there are keep the lawn under control, and the flowerbeds nicely weeded.An uncared-for garden will reflect badly on the house to which it’s attached – and even though autumn isn’t traditionally a time of year for gardening, by keeping on top of the situation now you’ll be able to minimise the work required once the snows have melted. It should go without saying that a four-bedroom house will command a much higher price than a three-bedroom one.This is especially so if the extra bedroom is generously-proportioned.Unfortunately, building an extension can represent a considerable expense, and involve grappling with planning permission.You’ll be able to track down the necessary materials from any decent purveyor of builders supplies in North Wales. In order to keep a home’s energy efficiency as high as possible, it’s essential that we employ the right technological tools.Among these are the latest digital thermostats, which make possible an enormous amount of automation and record-keeping, allowing us to observe our energy usage over time and slash costs where they’re not justified.The latest models will even allow you to observe your energy consumption from afar via a smartphone app! If you’re sick of fumbling for your keys every time you come home under cover of darkness, then you’ll appreciate the merits of a keyless entry.With a biometric system, you need only present your thumb in order to be allowed entry to the house.Better yet, you’ll be allowed to register other people in the household to use the system, and have a record of every lock and unlock event. A house might contain anywhere from a few thousand to tens of thousands of pounds of electronics equipment.In order to ensure that those televisions, fridges, microwaves, toasters, kettles and hi-fi systems aren’t zapped by a voltage spike, it’s wise to invest in whole-house surge protection.That way you can be sure that your entire house is covered. Why restrict your home life to the interior of the building?With the help of permanent outdoor pizza ovens and barques, dining areas and shed conversions, more of us than ever before are making great use of our outdoor spaces – and effectively extending our homes during those summer months.If you’re looking for an inexpensive way to add utility to your home, then the addition of a table and a few chairs will go a long way!